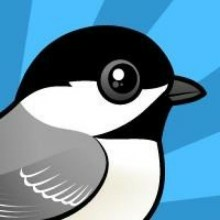 For 22 days we're adding a new Birdorable bird every day as part of our Birdorable Bonanza 2012. We're counting up to our 400th species! 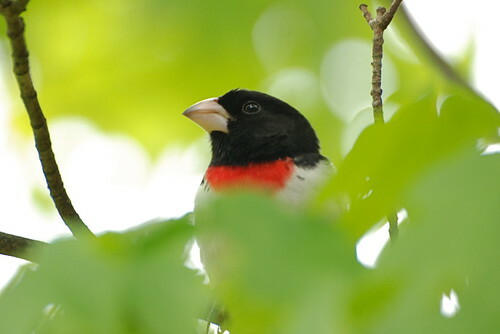 We proudly kick off our Bonanza 2012 with a beautiful species native to the Americas: the Rose-breasted Grosbeak! Rose-breasted Grosbeaks are small songbirds that breed across the Northeast of the United States and across much of Canada. These migratory beauties head south in the fall, spending the winter in Central and northern South America. Males have a shock of red on the chest, for which the species is named. Females look very different; they are sometimes mistaken for sparrows. Rose-breasted Grosbeaks love sunflower seeds and will be attracted to hopper feeders containing striped or black-oil sunflower seeds. 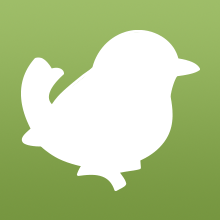 Tomorrow's bird is endemic to the Hawaiian islands. Can you guess what it will be? 8 comments on "Bonanza Bird #1: Rose-breasted Grosbeak"
Oh, it's beautiful? now, this bird is shaped like a duck or goose... now let me think.. I've got it! I think it's a Nene!!! Oops, I didn't mean to write, "Oh, it's beautiful? ", I meant to write "OH it's beautiful!" i hope one of the birds will be an african crowned crane or a moa. Hi Laurakeet! Thanks for following our Bonanza. We have already chosen the birds for this round, and unfortunately your requested birds are not among them. Blue Bird-of-paradise and African Crowned Crane are definitely on our list for the future!